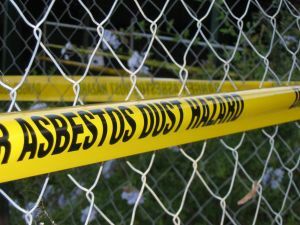 In a recent opinion from the California Court of Appeals – Fifth Appellate District, a civil jury had awarded the plaintiff’s family (surviving spouse and children) approximately $5.8 in connection with this his death from malignant mesothelioma. Malignant mesothelioma is very rare form of cancer almost always associated with exposure to deadly asbestos fibers. However, it should be noted that, while it is considered rare as compared to other types of cancers, thousands of people suffer and die each year in the United States alone from malignant mesothelioma. In this case, when making their finding of liability and assigning damages, the jury found that defendant was exposed to the deadly asbestos fibers from brakes. However, the defendant appealed, arguing that the jury’s special verdict form indicated serious inconsistencies, the trial court erred when not giving certain proposed jury instructions, and the course erred also in allowing allegedly prejudicial evidence to be admitted. First, with respect to prejudicial evidence, we do not mean prejudicial in the normal way in which the word is the used in the English language. As our Boston mesothelioma attorneys can explain, in the law, prejudice refers to something that is harmful to the other side’s case. As one might expect, anything one party attempts to introduce as evidence is likely going to harm the other side’s case, so it is considered prejudicial. There is nothing wrong with that, and, in fact, that is the point in our adversarial legal system. The problem, however, occurs when something is more harmful to the other side than it is helpful to the jury in making a decision. Because many of these asbestos cases, even the ones filed in Boston, are filed in federal court, we can refer to the Federal Rules of Evidence (FRE). More specifically, FRE Rule 403 states that something should not be introduced as evidence if its probative value is outweighed by prejudice to the other side to the point where it caused undue harm. In Massachusetts, we do not have codified rules of evidence, but we have the same basic rules, and attorneys refer to our book of evidence case as Liacos after its author. With respect to the question of prejudicial evidence, the court of appeals found that the judge properly admitted this evidence. Specifically, we are dealing with a claim a 1966 letter from the brake company’s employee that joked about the dangers of asbestos, saying the material had been accused but not yet convicted of causing cancer. The court found this letter was probative as to whether the company was aware of the dangers of asbestos back in the 1960’s when plaintiff was first exposed. The defendant argued it should not be admitted, because it is prejudicial against their case. The court of appeals also found that there was no problem with how the judge had given this instruction and affirmed the trial court on this ground, as well. As for the third reason for defendant’s appeal, the court found that the jury’s verdict was reasonable in light of the evidence that was properly submitted at trial, and, therefore, the entire verdict was affirmed.